September 22 is Hobbit Day! It marks the start of Tolkien Week. 1.) Click to learn more about Hobbit Day and Tolkien Week, celebrated each year since 1978 by The American Tolkien Society. 2.) Read (or reread) The Hobbit. Or share your favorite passages with a friend. 3.) Go barefoot, as hobbits rarely wear shoes. 4.) Eat heartily, and don’t miss Second Breakfast! There is some discussion as to whether Second Breakfast is the same as or in addition to Elevenses. Either way, Halflings eat six or seven times a day and are particularly fond of apples, blackberry tarts, ripe cheeses, mushrooms, hot soups, cold meats, bacon rashers, scones, potatoes (Samwise Gangee’s favorite), and fruit or meat pies. But, perhaps avoid roast mutton, as that is frequent food of Trolls. 5.) Argue with other Tolkien geeks over whether Hobbit Day actually fell on September 12 or 14, since the Shire Calendar varies from the Gregorian. 6.) Noodle some riddles. Hobbits adore riddles. Bilbo used them to get the best of Gollum in the “Riddles in the Dark” chapter. He later wrote “all that is gold does not glitter” in a telling riddle about Strider, which Gandalf gave to Frodo. 7.) Check out the latest trailer for The Hobbit: The Desolation of Smaug hitting theaters December 13, 2013. 8.) Visit your local library or a local bookstore for more Middle-Earth mythology via Tolkien’s posthumously published works: The Silmarillion, Unfinished Tales of Numenor and Middle-Earth, or The Histories of Middle-Earth. 9.) Have that “Unexpected” or “Long-Expected” Party! Hobbits like to socialize. Well, except Bilbo of course. September 22 is Hobbit Day! Bring on The Hobbit Movie Triple Play! Anyway, I could have easily rattled off 10 favorites from Jane Austen’s works, or from The Lord of the Rings. But, I didn’t even try to pick just one of G.R.R. Martin’s cast of characters from A Song of Fire and Ice, seriously? 1.) Lady Catherine de Bourgh, Pride and Prejudice, by Jane Austen—Austen’s books are rife with hilarious and memorable supporting characters, caricatures really. But, the haughty, domineering (and hilarious) Lady Catherine takes the cake. An authority on everything and everyone, Lady Catherine commands the spotlight. “I must have my share in the conversation!” She reminds Darcy and Colonel Fitzwilliam. 2.) Rusty Everett, Under the Dome by Stephen King—My great sorrow is that Rusty does not even feature in the Under the Dome TV show. But he is one of the most human and memorable characters from the book. Rusty is the everyman, the guy we all root for. Of course, there is Barbie the badass, ex-army superhero. But Rusty is someone whom you know you’ve met … thrust into unusual circumstances, who rises to the occasion. 3.) Peregrin (aka Pippin) Took, The Lord of the Rings, by J.R.R. Tolkien—It’s hard to pick a favorite hobbit, and I wouldn’t dare. But as literary characters go, Pippin is endearing, mischievous, and stellar. He elbows his way into the Fellowship, peers into the Palintir, and charms both Treebeard and the raving mad Denethor. “Fool of a Took!” cries Gandalf, after one of Pippin’s signature gaffs in the Mines of Moria. 5.) Nelly Dean, Wuthering Heights, by Emily Brontë—I actually do not like Nelly very much at all. She is the original unreliable narrator, presenting her story as if she were not taking sides while in reality she drives along the friction between characters. Knowing Heathcliff is in earshot, Nelly prods Cathy to say it would “degrade her” to marry him.” Decorum prevents me from using the apt word describe Nelly, but it rhymes with witch. 6.) Aunt Dahlia, The Jeeves and Wooster books, by P.G. Wodehouse—Again, I could have picked Aunt Agatha, aka ‘the nephew crusher,’ (or the simpering Madeline Bassett who calls stars “daisy chains,” or the completely daft Barmy Fortheringay Fipps, or Harold ‘Stinker’ Pinker). But Dahlia is the one of my favorites partly for the many whacky schemes into which she ensnares Bertie, but also for her line, “curse all dancing chauffeurs,” uttered after she gets locked out of Brinkley Manor during the servants ball. No wonder, Wodehouse titled a book, Aunts Aren’t Gentlemen. 7.) Everyone, Suite Française, by Irène Némirovsky— Némirovsky planned this as a sort of paean to Leo Tolstoy’s War and Peace. It is a wonderful, shattering novel about the early days of World War II in France, as the Germans roll through Paris and the small villages. There are so many finely drawn and distinct characters: the parents of a son missing in battle; wealthy Parisians fleeing to resorts; and the kindly, well-mannered German officer who is also a musician. It is so heartbreaking that this novel was never finished. 10.) Mma Potokwani, The No. 1 Ladies Detective Series, by Alexander McCall Smith—This bossy, but lovable mistress of the orphanage is like the bizarro Lady Catherine de Bourgh. Mma Potokwani orders people about and makes humorous demands, but all for the good of the orphans for whom she will go to (and push others to) just about any lengths. And of course Mma Ramotswe would not be happily married to the quiet, reserved Mr J.L.B. Matekoni, if Mma Potokwani hadn’t ambushed them with a surprise wedding! Somehow, with the bustle of the holidays, I did not make it to the The Hobbit—An Unexpected Journey. We had a collection of extended family—cousins, grandparents, in-laws—almost like a gathering of the Bagginses, Brandybucks, and Tooks. Our festivities kicked off the Thursday before Christmas with people coming-and-going, so it was nearly the six-day hobbit Yule celebration. After Christmas dinner, when things had finally settled down, I was feeling rather like Bilbo Baggins, ready for a quiet night by the fire with a cup of tea. Then, the phone rang. The family fun was not over, and an evening trip to The Hobbit was proposed. Much like Bilbo with the dwarves, I declined the adventure at first. But my 14-year-old nephew talked me out of this moment of temporary insanity. Just like Bilbo, when I saw everyone leaving, I realized I did not want to be left behind. Everyone, from the neophytes to the Tolkien-obsessed, loved The Hobbit movie! As with LOTR, Peter Jackson mined Tolkien’s detailed notes and his history of Middle-Earth, The Silmarillion. Jackson starts his story before the novel does, with the exciting tale of the Dwarf kingdom of Erebor and the Lonely Mountain. Also, in the first few scenes, we get a cameo of Frodo—and the whole theater cheered. There were more cheers when Bilbo’s pen scratched out the book’s first words: “In a hole in the ground there lived a hobbit.” Later, there were gasps and some hisses when Saruman showed up in Rivendell. Thanks to this Star Wars-esque reverse filming of LOTR before The Hobbit, many viewers learn about Saruman’s treachery before they see him as an important force for good in the first book. It’s like watching young Anakin Skywalker, knowing he will grow up to be Darth Vader. Though here it’s a pity, because the Saruman story unfolds with some great twists in LOTR that have much more punch if you’ve read (or seen) The Hobbit first. Without anymore near spoilers, I’ll add that keen observers will note that the dreaded three Trolls from this film make a brief cameo in LOTR: The Fellowship of The Ring. Finally, I’ll admit that I teared up when Bilbo first reaches for Sting. My favorite part of the movie, however, is when Frodo heads out to greet the arrival of Gandalf. 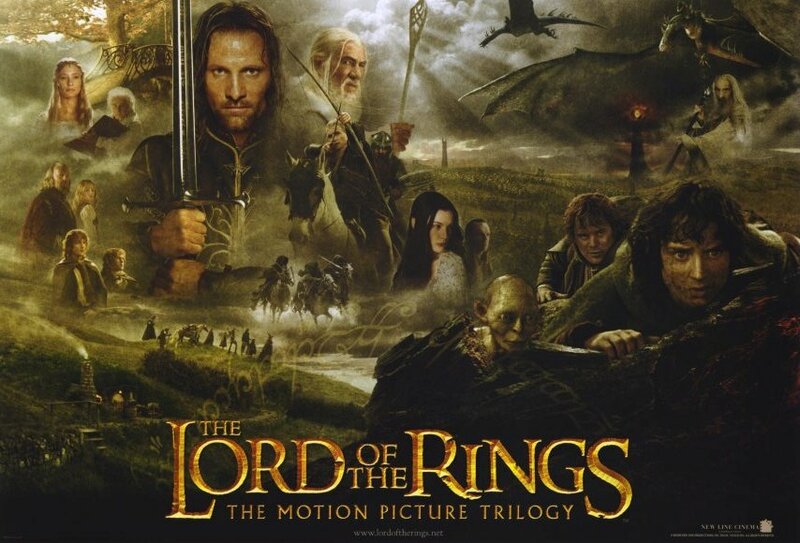 Yes, this film starts on the very same day as the LOTR trilogy, Bilbo’s eleventy-first birthday—now celebrated around the world as Hobbit Day. We will next see Frodo at the opening of The Fellowship of the Ring, on the road waving down Gandalf. This circular approach is a brilliant move by Jackson, and I feel will ultimately weave the two trilogies together perfectly. The Hobbit—An Unexpected Journey is worth the trip!! I just wish, per Saturday Night Live’s trailer above, there really were 18 more sequels. Bring On the Hobbit Triple-Play! 1.) Read or reread The Hobbit. Or share it with a friend. 2.) Go barefoot, as hobbits rarely wear shoes. 3.) Eat Heartily, and don’t miss Second Breakfast at 11:00 am. Hobbits eat six or seven times a day and are particularly fond of apples, blackberry tarts, ripe cheeses, mushrooms, hot soups, cold meats, bacon rashers, scones, potatoes (Samwise Gangee’s favorite) and fruit or meat pies. But, perhaps avoid roast mutton, as that is frequent food of Trolls. 4.) Argue with other Tolkien geeks over whether Hobbit Day actually fell on September 12 or 14, since the Shire Calendar varies from the Gregorian. 5.) Noodle some riddles. Hobbits adore riddles. Bilbo used them to get the best of Gollum in the “Riddles in the Dark” chapter. He later wrote “all that is gold does not glitter” in a telling riddle about Strider, which Gandalf gave to Frodo. 6.) 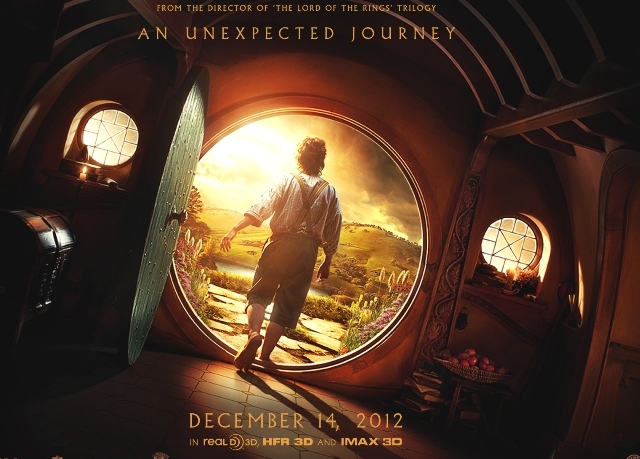 Check out the latest trailer for The Hobbit: An Unexpected Journey hitting theaters December 14, 2012. Or, look behind-the-scenes via The Hobbit movies official blog. 7.) Log onto HobbitDay.com for an all-day online festival with Tolkien experts, readings, and events. Then tomorrow, Saturday, is Hobbit Day, observed every year on September 22. Tolkien fans around the world will celebrate with Second Breakfasts and toasts the Shire. This is actually the birthday of both Bilbo and his nephew Frodo Baggins, aka the two ring bearers. This date takes on even greater significance because it kicks off the The Lord of the Rings trilogy. The first book, The Fellowship of the Ring, opens with Bilbo’s birthday party on September 22, after which he passes the One Ring on to Frodo, and trouble follows fast. Earlier this week, a tantalizing new trailer was released for the upcoming movie The Hobbit: An Uexpected Journey. 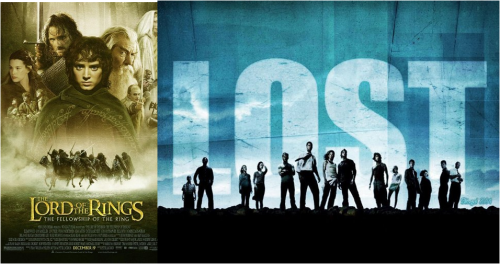 I must say that I am triply excited that there will be three films instead of one. We have to wait until December for the film, but this weekend all things Hobbit can occupy our thoughts. Here are 10 Ways to Celebrated Hobbit Day! The Hobbit: What Has Made the Book Such an Enduring Success?